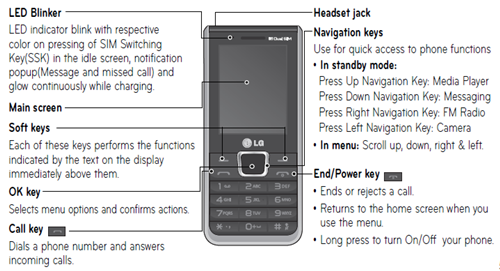 The LG A390 manual is available online. It's available in pdf format. It's also support in english, francais and portuges language. You can download this manual for free. The LG A390 user manual consist of 154 pages. The manual contains reference information such as Installing the SIM Card on page 7, Turning Your Phone On and Off on page 10, Lock/Unlock Your Keypad and Making a call. Then about Changing the call settings, Using the speakerphone, using contacts, Setting up your e-mail, Taking a quick photo, Listening to the radio, and Setting your alarm. computer, Phone Software update, and troubleshooting.